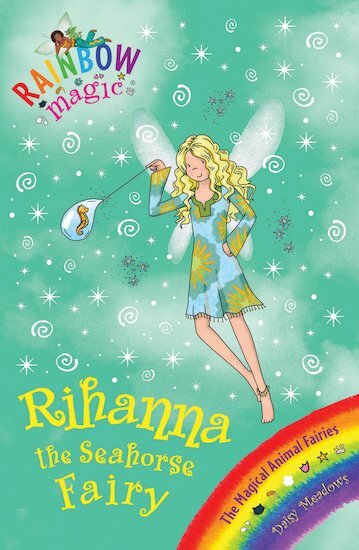 The Magical Animal Fairies look after seven young enchanted creatures, training them to use their powers well. But jealous Jack Frost stole the creatures, and now they’ve escaped to the human world! Can Kirsty and Rachel explore Adventure Lake and find Bubbles the Seahorse before the crafty goblins do? My freind Rachele is letting me borrow it so thank you Rachel Kempston. PS It is Awesome and acording to this book the Loch Ness Monster is real. Really Good!